File this next vehicle under the heading "I don't know what I'm looking at, but I know I want it"...wait...that is everything on DT...okay, fair point. 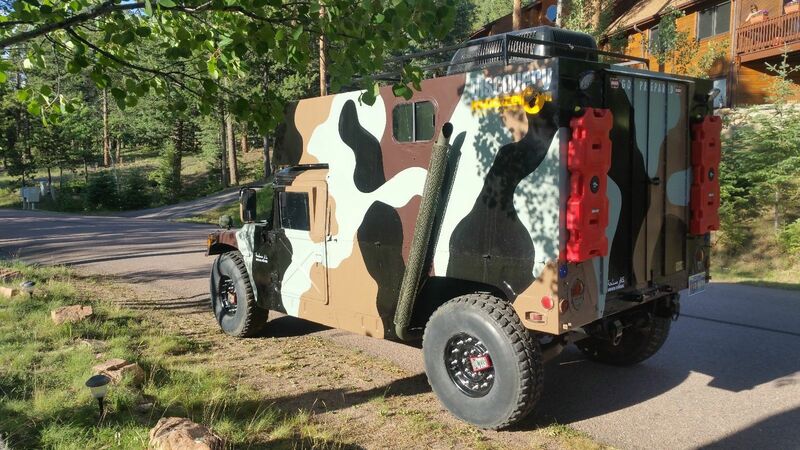 ANYWAY, if you need a cheap bugout zombie apocalypse survival vehicle, this looks good. 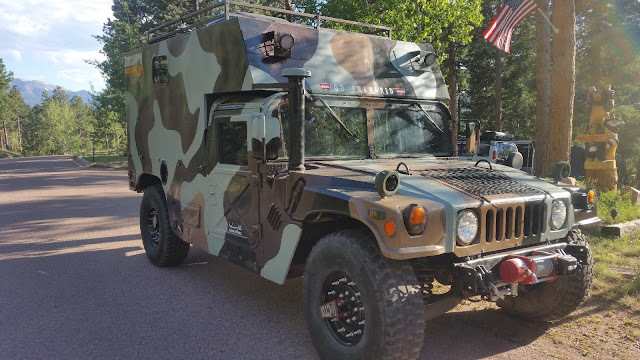 Find this 1987 AM General HMMWV Command Shelter Camper offered here on eBay for $3,950 buy-it-now located in Woodland Park, CO. Okay...yes...this isn't an actual car for about $4k -- it is just the camper top that sits above the basic HMMWV truck, so what you need is a cheap truck to go under it. Like this 1992 AM General Humvee Truck offered here on eBay for about $11,250 in Florida. Combine these two and you've got a sweet $15k vehicle. 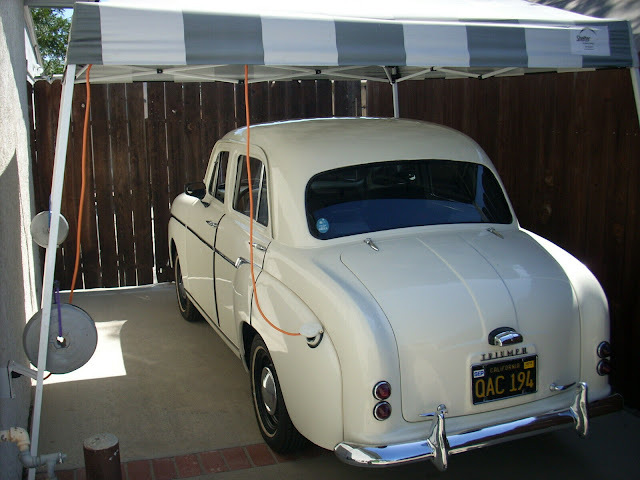 I am more interested in the Ford GT40 in the garage of the 2nd pic? Just the shelter...not the vehicle. Let's face it; it's camouflaged so how could you know? And what environment is that camouflage optimized for anyway? Futurama? Adventure Time?